BACON lovers unite! 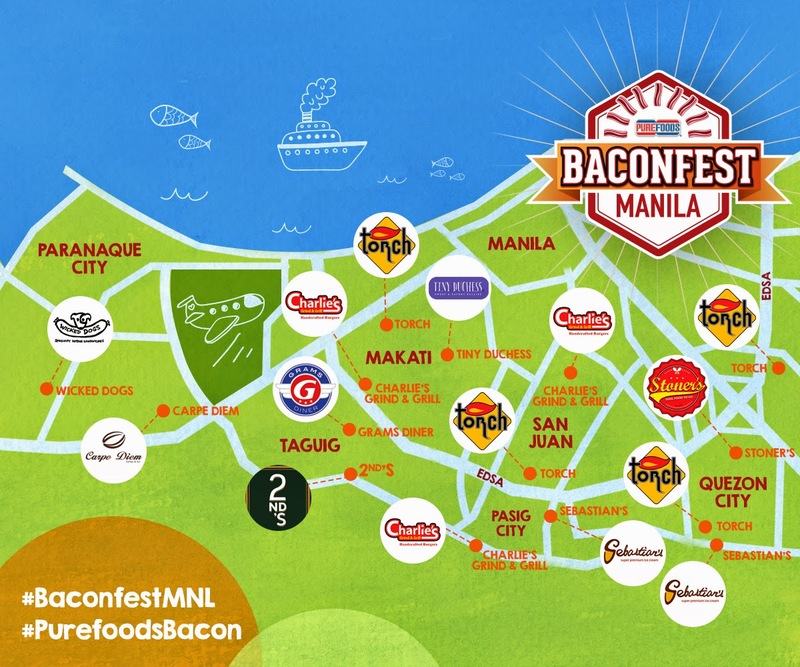 The best thing that has happened to bacon is finally here, as PUREFOODS® brings us BACONFEST MANILA- a campaign set to promote PUREFOODS® Thick Cut Bacon and Maple Bacon in various restaurants around the Metro. PUREFOODS® has partnered with some of our favorite restaurants to give a new and mouth-watering twist to the classic bacon. Who says bacon can't get any better? 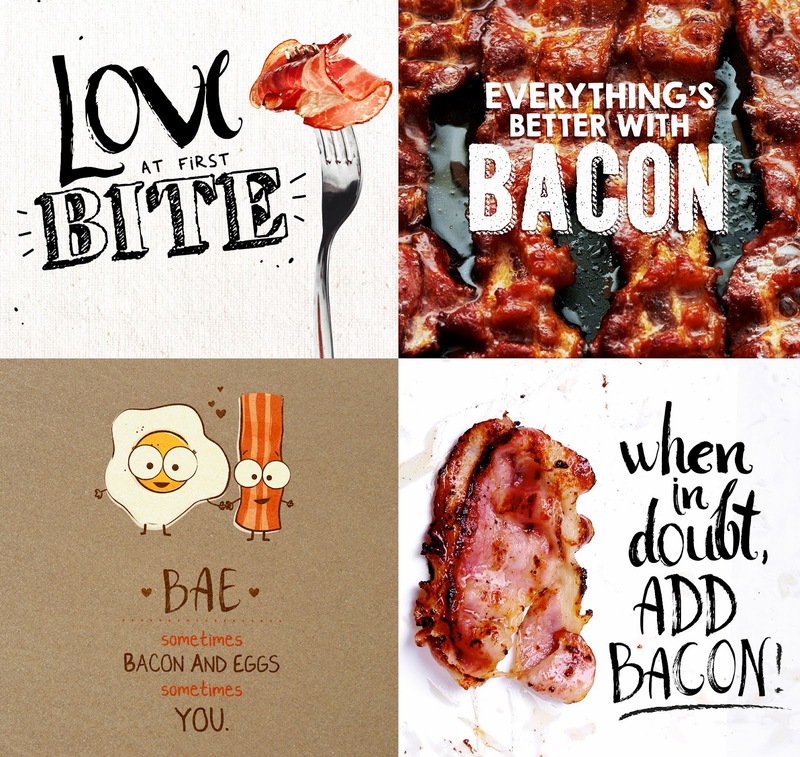 With our sincere love for Bacon, PUREFOODS® has created a way for everyone to enjoy all the yummy goodness in bacon! 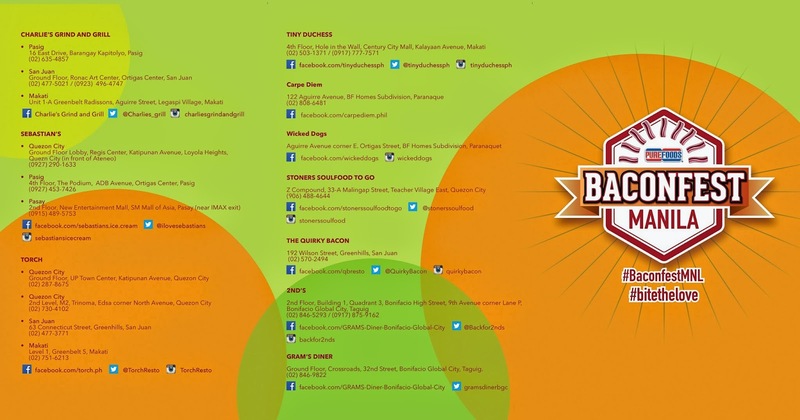 They've invited these restaurants to create their own bacon dishes as we celebrate the biggest, finest and first-ever campaign that’s purely about bacon: PUREFOODS® BACONFESTMNL! Some of the participating restaurants are 2nd's Restaurant, Carpe Diem, Charlie's Grind & Grill, Grams Diner, Sebastian's Ice Cream, Stoner's, Tiny Duchess, The Quirky Bacon, and Torch Restaurant. During the launch of BACONFESTMNL at Torch Restaurant Greenbelt 5, our cooking skills were tested as bloggers were teamed up to a surprise cook-off challenge. Our team, BaconNet, was assigned to make PUREFOODS® Bacon Pancake Fingers using PUREFOODS® Classic Honeycured Thick Cut Bacon. 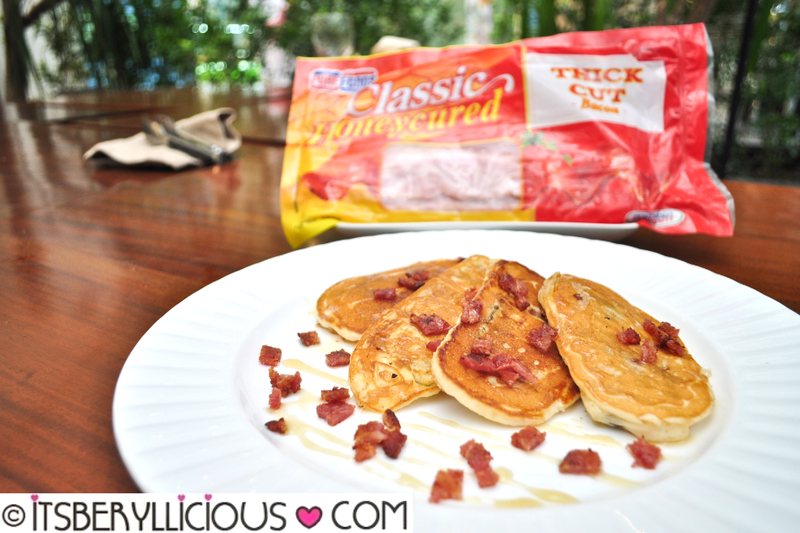 The classic pancake recipe was given a salty sweet touch with PUREFOODS® Classic Honeycured Bacon. Simple, yet hearty pancakes. I can have this any time of the day- breakfast, lunch or dinner. Our team didn't win the challenge, but everyone certainly had a great time reinventing classic bacon dishes like a PRO. PUREFOODS® Spicy Barbecue Bacon- a hearty blend barbecue marinade with just the right hint of spiciness, perfect for thrill-seekers. PUREFOODS® Honey Roast Bacon- sweet, savory and smoky goodness that will surely brighten up any meal, anytime of the day! All PUREFOODS® THICK CUT BACON variants are available in 500gpacks, while PUREFOODS® Maple Bacon comes in three packaging: 200g, 400g and 1KG packs. Who would have known that even those who have no background in cooking can easily come up with exciting and mouth-watering dishes made with PUREFOODS® Bacon. After the challenge, everyone was treated to a 6-course bacon meal prepared by Torch Restaurant. Of course, each dish was made special with a touch of bacon. We had a Bacon Caesar Salad, Cream Cheese Bacon Roll, Bacon Pizza, Bacon Carbonara, Bacon Salpicao Medallion, and Bread Pudding with Candied Bacon. These are just some of the mouth-watering bacon dishes you can expect from BaconFest Manila. Stay tuned for more participating establishments as BaconFest Manila continuously invades your favorite restaurants around the metro. Who knows? You might even get a chance to win amazing gadgets and prizes. 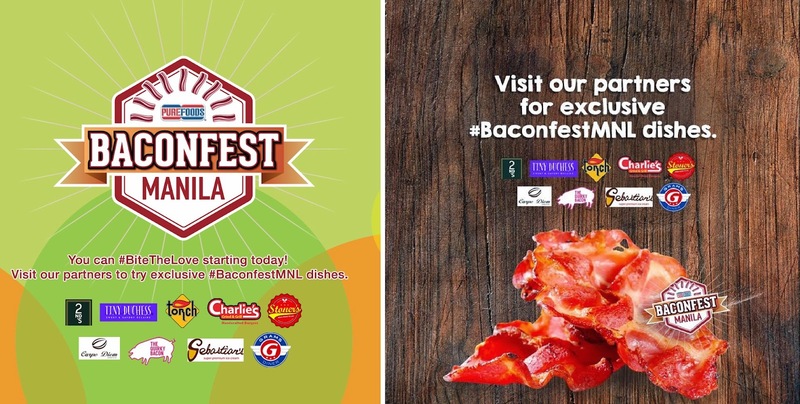 Check out BaconFest Manila's Facebook Page or follow them on Instagram for updates, promos and giveaways.